For his considerable work on Middle English literature, especially Geoffrey Chaucer and John Gower, Elliott Associate Professor of English Steele Nowlin was presented the 2017 John Peter Mettauer Award for Excellence in Research. Nowlin is a graduate of Kent State University and earned his Ph.D. at The Pennsylvania State University. 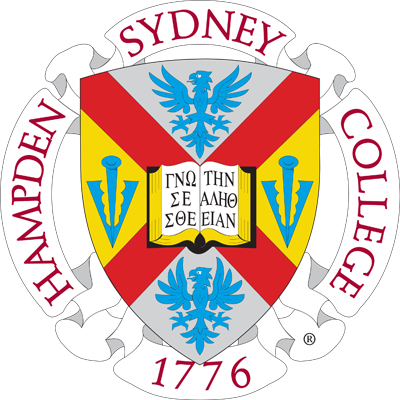 He joined the faculty of Hampden-Sydney College in 2007. He has presented papers at over a dozen conferences, from Boston and D.C. to London and Swansea Wales to Reykjavik, Iceland, and Kalamazoo, Michigan. Articles have appeared in major scholarly journals, including Modern Philology, Studies in Philology, and The Journal of Medieval and Early Modern Studies. In 2016, he published his first book, Chaucer, Gower, and the Affect of Invention with Ohio State Press, in which he examines how affect affects creative composition; or, put differently, how in medieval literature gut instincts preempt rational thought as ideas are created. In addition to having been Hampden-Sydney College's 2015 nominee for the Virginia Foundation for Independent College's Harris Award for Excellence in Undergraduate Teaching, he was the recipient of the 2012 VFIC Mednick Research Fellowship.